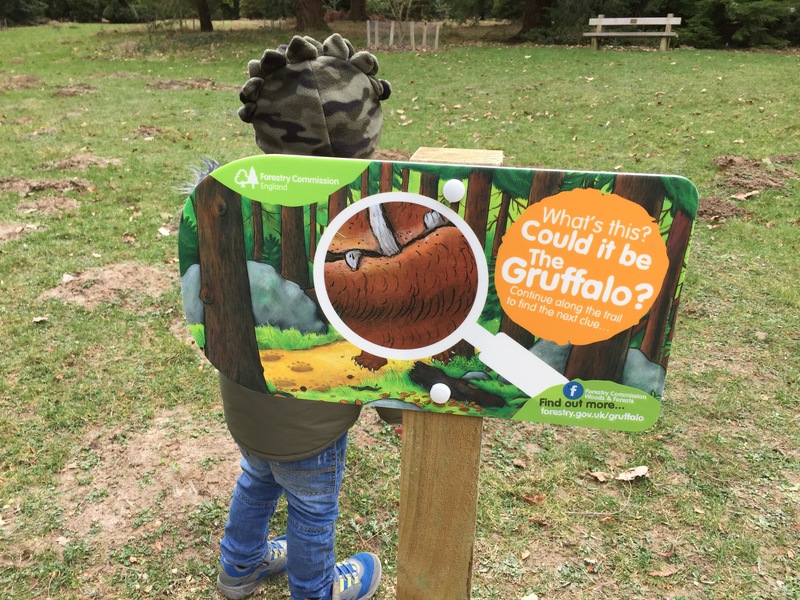 We’re massive Gruffalo fans here and so when we heard that one of the Forestry Commission’s Gruffalo Spotter interactive trails was opening at Bedgebury Pinetum, near Tunbridge Wells, at the end of February, we rushed down to try it out! 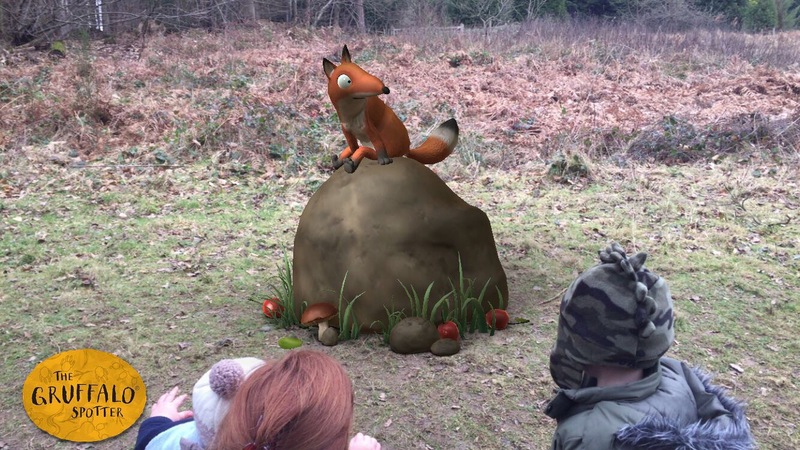 Armed with our fully-charged iPhones, complete with Gruffalo Spotter app (service is a little patchy down there so I would highly recommend downloading in advance), we couldn’t wait to see what lay ahead. 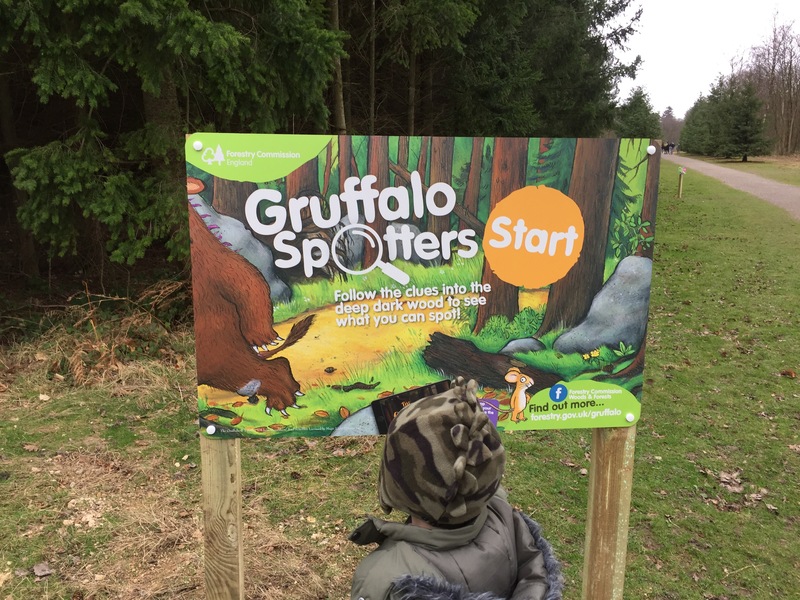 After refuelling at the cafe (which serves hot breakfasts until midday and lunch afterwards), we got ourselves a Gruffalo Spotters’ Guide (£3 from the Information Office) and set off in search of the elusive Gruffalo. 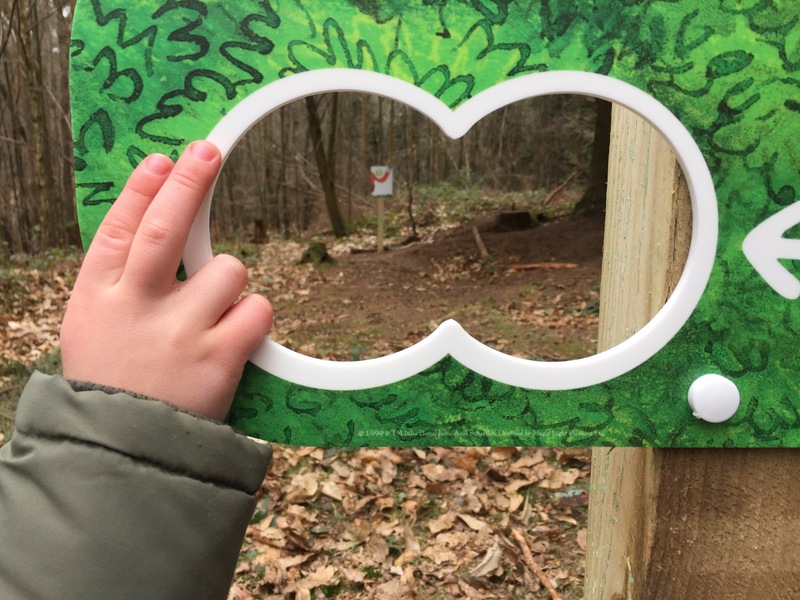 Please Note: The guides aren’t essential to complete the trail, but include stickers, clues to follow and some facts about Foxes, Owls, Snakes and other wildlife of the Pinetum. So they’re quite fun for the little ones. The format is formulaic and easy for little ones to follow. Our two were equally excited: the three year old because he could answer all of the clues and get involved in the “investigation”; the 16m old because he got to chase after his brother and say “cheese” a lot. 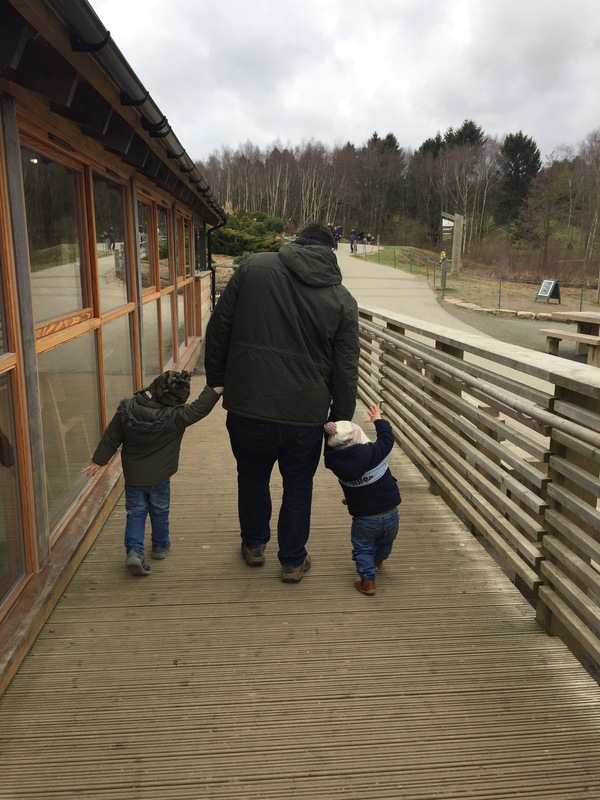 Daddy (36) was in love with the clever graphics that “revealed” each animal and the multiple tree climbing opportunities, so there really is something for every age group here! The graphics really are impressive! 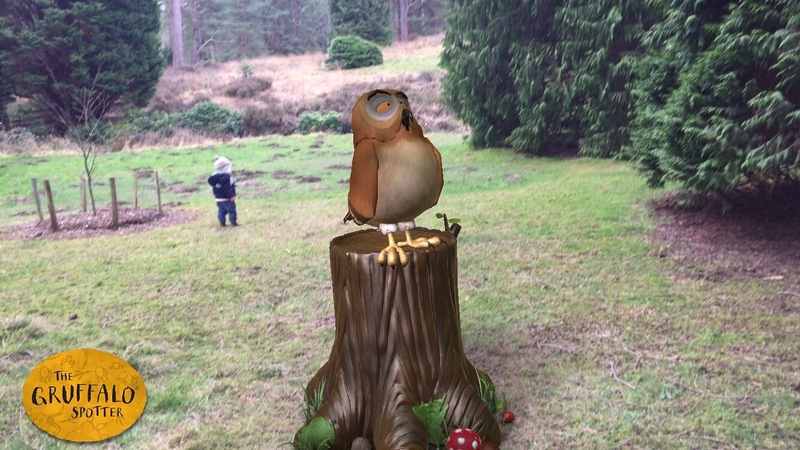 The animals move around as if they were real. My boys were confused about posing next to a wooden sign but then jaw-droppingly amazed when they saw the resulting photos of them with the characters! Sheer magic! Until there was only one animal left to find… can you guess which one? And he didn’t disappoint! Standing 8 foot high and looking very hungry, we didn’t hang around too long in case he fancied some little boy crumble! 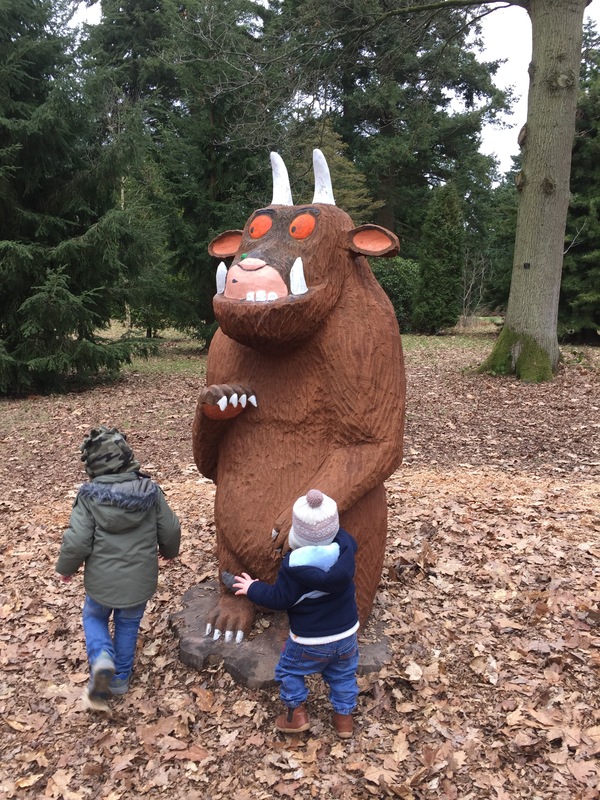 At the end of the trail, there’s also a big wooden Gruffalo, for the children to “meet” and pose with. 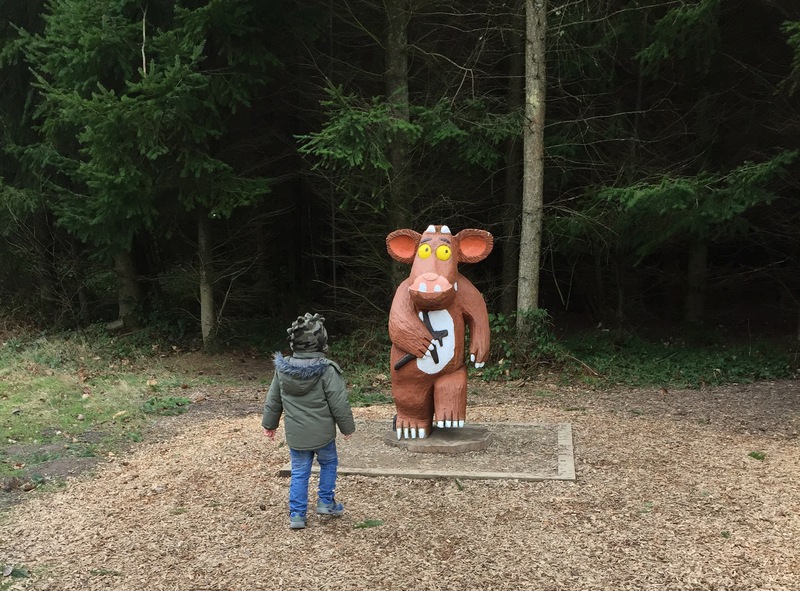 Officially dubbed “the REAL Gruffalo” by the three year old, he was happiest here and we played amongst the leaves and logs for about 20 minutes, before returning to the cafe for a warm-up and a hot chocolate. 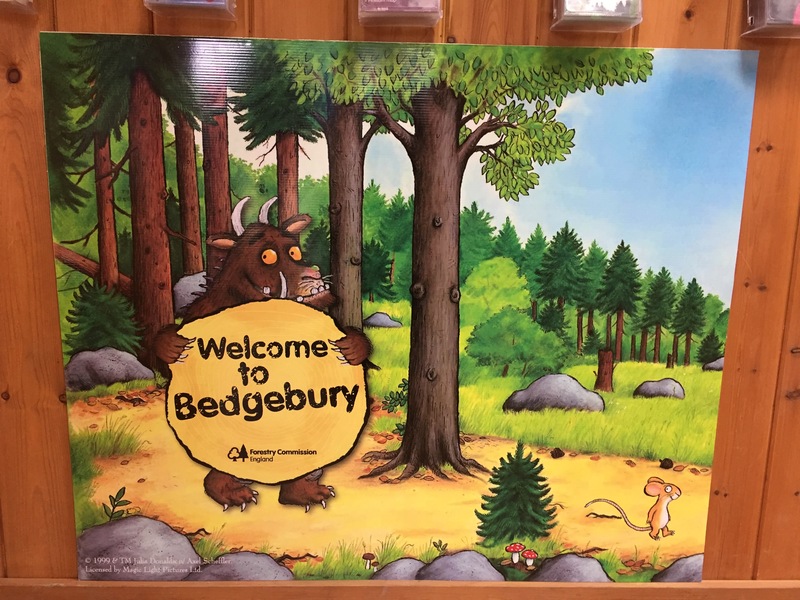 It was a brilliant day out and I would thoroughly recommend to anyone with children who love The Gruffalo! I also defy any Dad not to love the app! Three tired boys then made their way back to the car and the two tots then slept all the way home. Dreaming of owl ice cream and Gruffalo crumble, no doubt. 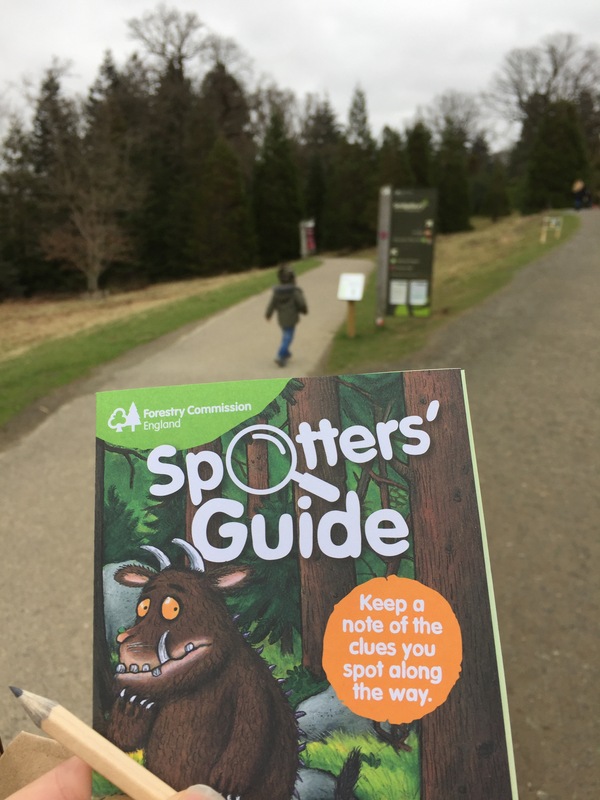 The Forestry Commission is rolling this trail out nationwide over the coming months. 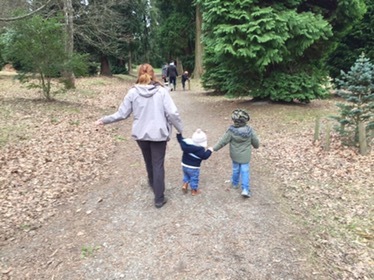 Two opened in Kent last week, one near Maidstone and the other (Bedgebury Pinetum, where we went) near Tunbridge Wells. Another is due to open near Guildford in April. 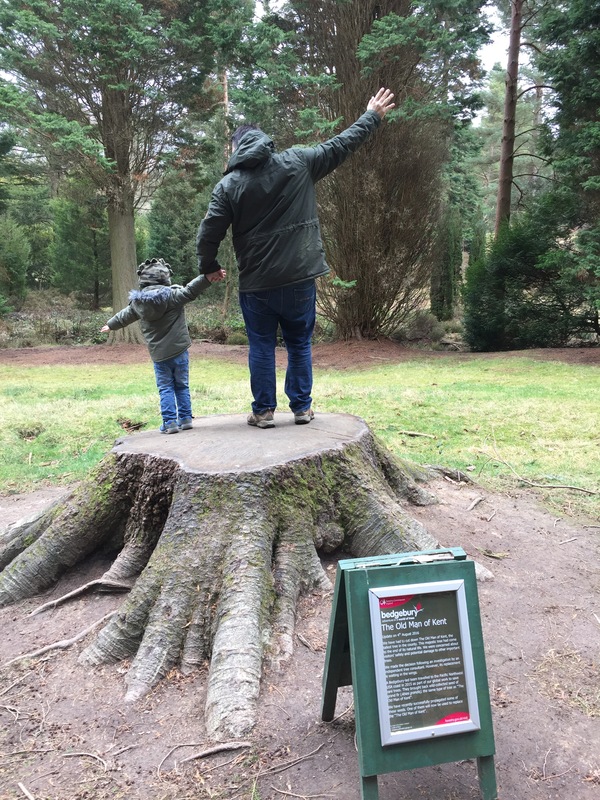 Bedgebury Pinetum is just over 1 hour away from the Croydon and East Surrey area by car. Parking at the Pinetum is plentiful, but costs £10 midweek and £12 at weekends. 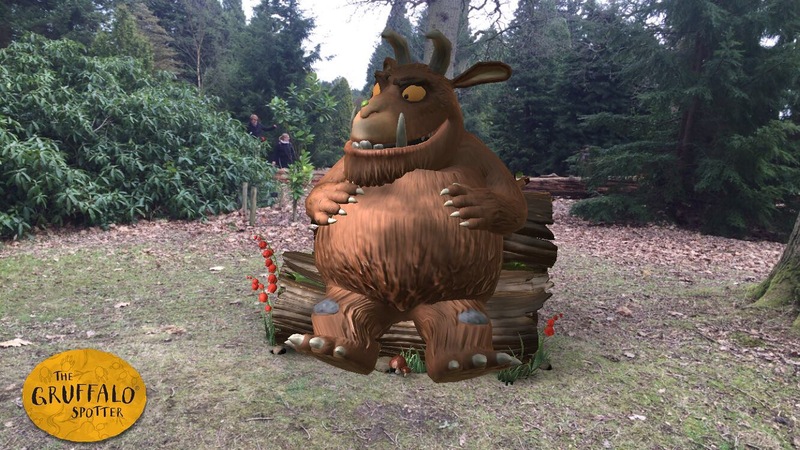 The Gruffalo Spotter app is FREE to download.